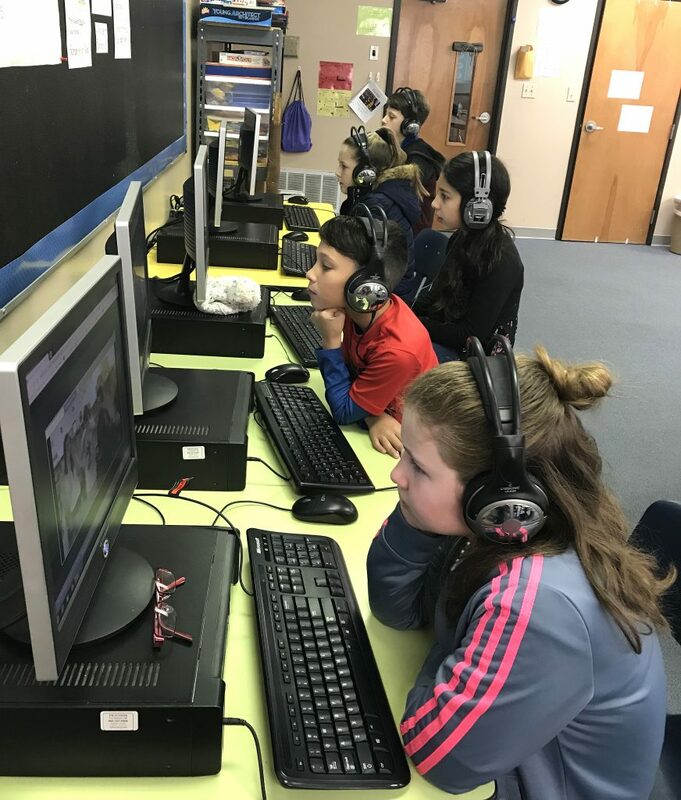 The second through fifth grade Gifted and Talented students at Aaron Parker Elementary participated in the Hour of Code 2018 this week. The event is a global movement to bring more awareness to the computer science industry in over 180 countries. This year the event is December 3-9 and already there have been 209,532 events registered. Links to the students’ codes are: Blake Brannan http://tiny.cc/bbrannan; Michael Martin http://tiny.cc/mmartin; Camila Chappell http://tiny.cc/cchappell; Logan Dobbs http://tiny.cc/ldobbs; Aysheh Joudeh http://tiny.cc/ajoudeh; Emu Harper Mitchell http://tiny.cc/ehmitchell; Alivia Hughes http://tiny.cc/ahughes; Kruz Chappellhttp://tiny.cc/kchappell; Wiley Quillen http://tiny.cc/wquillen; Remie Moore http://tiny.cc/rmoore; Khadija Joudeh http://tiny.cc/kjoudeh; Donald Williams http://tiny.cc/dowilliams; and Chance Mitchell http://tiny.cc/cmitchell.